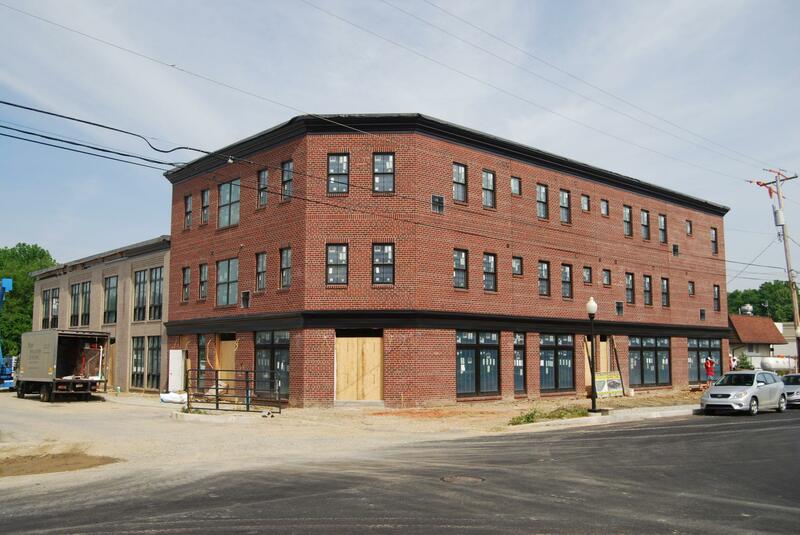 Construction is moving along at Cannery Row, a mixed-use infill redevelopment project that straddles the border of Kennett Borough and Township. The buildings, curbs, parking and sidewalks are in and the interior fit-out is underway. Formerly the Sunny Dell Foods Mushroom Cannery, the project design complements the architectural vernacular and historic feel of the Borough. Located adjacent to Magnolia Place and Victory Brew Pub, this redevelopment is a key component to the borough’s growing and thriving downtown. The development plan includes a natural foods grocery store, gourmet breakfast/diner/bruncherie, wellness center, retail and office space and 14 residential apartments. Keller Williams Realty, Revolution BBJ Boxing & Fitness, Textile – a women’s boutique, and Yoga Secrets have already signed leases. Adjacent to the Red Clay Creek the site design included the preservation of a significant amount of greenspace as seen in the rendering above. This pedestrian friendly community also includes a public plaza, dog park, bicycle racks, access to the Red Clay Greenway Trailhead, landscaping and ample onsite parking. 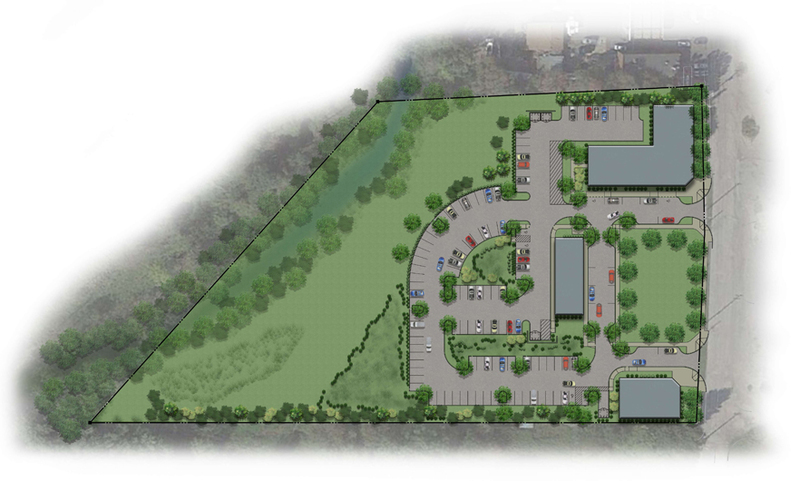 Nave Newell secured all necessary land development permits including a PA DEP Joint Permit. The first phase of the project will open later this year. Nave Newell has provided engineering services for dozens of multi-family and mixed-use properties. Contact us today for more information on our capabilities and let’s collaborate on your next project!